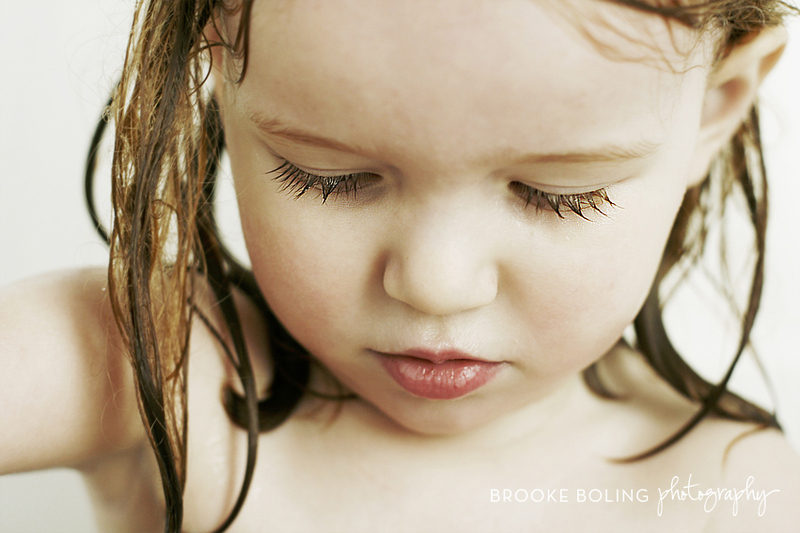 I am beyond thrilled to introduce to you Brooke Boling with Firecracker Studios! crazy busy schedule to do this for us! my branding process for my photography business! I loved her the moment that I knew she and I had the same taste. She asked me to send her some pictures of things I had in mind. and her life! She is great! that helps you and your business! First would you introduce yourself… I know you are married and have an adorable daughter so tell me about them too! Hello, my name is Brooke, and I’m a visual communicator. Ha! Thank you so much for taking the time to read this. It means so much. I’ve worn many hats and done many things throughout my life—ranging from flipping burgers to being a singer/songwriter. Currently, I’m a wife, mother, daughter, branding and marketing person, photographer, art director, karaoke star, painter and more…I was married on September 29th 2007 to the most amazing and intelligent man. He blows me away each and every day with his creativity. Gregg challenges me mentally and also has a heart of gold. He’s a passionate man and if you ever get the chance to meet, you’ll never be able to forget him. As you can imagine, with two creative brains constantly concepting new ideas, things never get boring around our house. But our best idea to date has been our decision to have a baby. Our little girl Parker is a typical BUSY two-year-old—full of energy, joy and wonder. She is the light of our life and it’s so much fun to see what each new day brings. Well lets jump right in to the business side of things…tell me a little bit about your business and what you would consider your forte to be! I actually run three businesses. Yes Three. I know I am a crazy person. After school, I spent a great deal of my career working as an advertising art director. I started off at an agency in Atlanta working on tons of campaigns and photo shoots. I also did lots of freelance art direction for a fashion magazine. After about five years, I moved to San Francisco to work for Target. There I spent most of my time working on various ad campaigns and photo shoots. 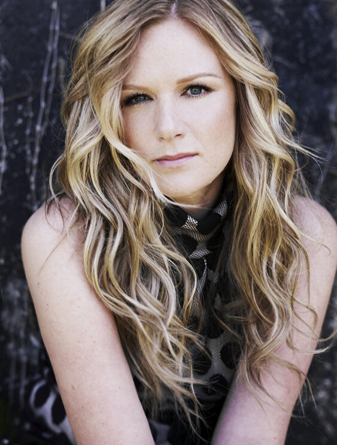 In 2002, I moved to Nashville, Tennessee to work as an art director for a record label. Not long after that, I started doing freelance art direction for various musical artists. I also worked for a local agency for a short time before deciding to finally step out on my own with Firecracker in 2005. I don’t like to do anything half way and I’m very detail-oriented. I’m the one on set making sure all the little details are addressed while also eliminating the unnecessary. I am probably the girl that will pull the fuzz off your sweater in the midst of making sure everything else is moving. I might have a little OCD! On the other hand, I realize that beauty is in the small things, the things you sometimes see in the periphery. It’s contrast that I look for. Sometimes the fuzz on the sweater is okay—but you better have darn good hair and make-up. How did you get started with branding? what led you to this business? and how did it become your passion? As a child, I always knew I was creative. Most kids are—but the passion just never went away for me. I guess I started really noticing my interest and talent for visual communications as a youngster in my hometown of Kirkland, Washington. My mother used to volunteer for the Kirkland Creative Arts Center and she always had me design the signs to promote events. By the time I was a teenager, I was certain of the fact I was a visual artist. I think for many in this business, the passion is just there. For me, it’s the passion—that gut instinct—that has guided me along the way. In college, I started off majoring in architecture, but I knew that wasn’t right. I switched to advertising, but my professor didn’t quite know what to do with me either. (He was used to students that were focusing on the business and analytics vs. the creative.) He was a great mentor though, and he was the one who found a great opportunity for me at another school in Atlanta called Portfolio Center. What would be the number one “piece of advice” to tell someone when they are starting to brand their business? First of all, while it’s where many start, a brand is not a logo. In fact, a brand is a promise. It’s a promise that comes from having an in-depth understanding of your customer and his or her needs. It’s a promise that you deliver by having a fluent conversation with that customer instead of just talking to them. A strong brand creates a powerful, emotional connection with its audience. Making and maintaining that connection is what the branding process is all about. I know that sounds deep, but it’s what drives my number one piece of advice: Hire a professional to do your branding. Don’t try to do it yourself. Do your research, find a designer with a good portfolio and a good reputation and then invest in your future. It’s important that it’s your vision. And it’s okay—even recommended—for you to have tons of creative ideas and be part of the process. But prep yourself to share that creative direction and then trust, trust, trust the designer. It’s always better to give input on the front end and then trust rather than taking the “I’ll know it when I see it” approach. It always amazes me when I hear stories of smart business people who don’t think it’s important enough or attempt to save money by doing their own logo & branding. It makes about as much sense as doing your own root canal! Can you tell us a little bit about the whole branding process with a new client? Maybe just briefly what the steps are to the end result. Step One: Review your vision & business goals. At this point, I don’t know your customers or your business process. I also don’t know what makes you different. Having all this clearly defined is the key to developing an outstanding brand. Step Two: The discovery process. I want to know everything from your favorite color to your pet peeves. It’s also important to gain an understanding of your personality. The best way to visually help me get there is by putting together a brand board. Pull visuals out of magazines and off the web and take photos for reference. This helps us get into your head and helps insure we are on the same page with vibe and overall direction. Step Three: Let us go to work. This is where the magic happens. While the number of options and rounds depends on the agreement, we usually present concepts in black and white first. This allows you to evaluate all the candidates more objectively. Once the options are narrowed down, we come back with a color version. Then we move to other executions or finalize depending on scope. Step Four: Living the brand. The branding process only begins with the logo. Living up to it is entirely your responsibility. How do you juggle your personal life, family life and business life? Oh…the ultimate question. The answer is…I don’t. I have to constantly work on this one. Bottom line and I am going to be honest, this is my biggest challenge. I am a workaholic but I also want to spend all my time with my daughter and husband. As much as I hate to be on a tight schedule, I find I have to plan things like working out and meals in order to get in all the things I want to do. Give yourself a routine and stick to it. Just a little something personal… What are some of your favorite things to do outside of business? What would be a one of your weaknesses when it comes to treating yourself? Whether it’s something you love to eat, buy or do!!! Some of my favorite things to do….hmmm there’s a lot. I am a music lover. I love live music and playing guitar and singing. At one point in my life I wanted to be a country singer but decided to keep my day job. HA! Now I just like going out on the town with girlfriends to sing karaoke. My husband is a collector and I am a minimalist. I would be fine with 2 pairs of good fitting jeans and a couple of white tank tops…but SHOES are probably my weakness. Oh and I love candles too and splurge on the good ones. No Apple cinnamon waxy business going on in my house. My biggest splurge of all is travel. I was hooked at a young age. My dad was an airline captain and my mother was a flight attendant for 40 years. The rewards were nice as a child but now that I am a big girl I want to travel as much as I can. AND it MUST be near water. I hope you find Brooke just as amazing as I do!!! piece of advice that helped you out the most! Arancha - I love what she said about what branding is: not a logo! It is so true! Sarah - Great interview, Erin! I really appreciated Brooke’s definition of branding. Keep doing these kinds of interviews. 😉 They’re very helpful.